Do I need to repost my items in separate communities? No! Items you post are automatically posted to all communities that are checked off in the Communities section when you post. Your posts may also be visible in some additional nearby communities, if you are in an area with multiple VarageSale communities. 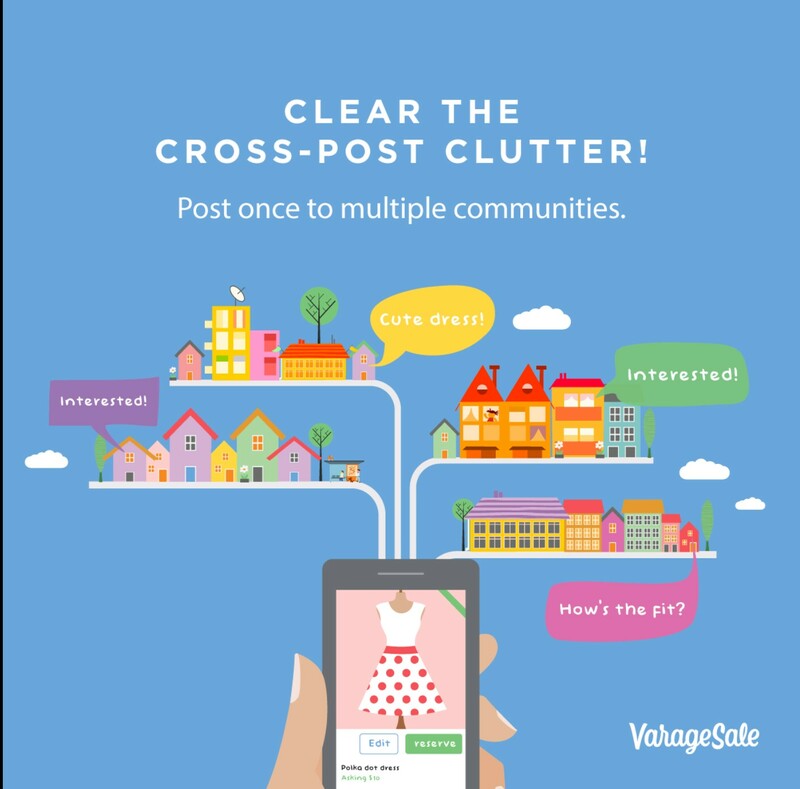 The local experience is very important on VarageSale, so be sure to only post your item for sale in communities where you are willing to meet to transact. Here's a guide on how to post items, and here's a guide on how to choose which communities they'll be posted in.